You should expect the entire selection process to take as much as four months, including the request for quotation (RFQ) project. Most thrid party logistics companies these days offer a fairly comprehensive list of services, so selecting the right one can be a challenge. The greatest difficulty is that there is no way to test or experience a 3PL before partnering with them. As you are most likely considering a mid- to long-term partnership, your selection process has to penetrate deeper than the PowerPoint presentation and sales pitch level. You need to ensure the provider you choose can deliver on the promises they make consistently, fully, as at the agreed price. Selecting an incompatible 3PL has a lot of repercussions. Improper management of your supply chain can hurt your production, your customer service, and your bottom line. Getting out of a bad partnership is expensive and complicated, and it can take as much as two years for your business to really find its feet again. It is generally advisable to set up a multidisciplinary project team of between six and ten members to manage the RFQ process. You should use a structured process to engage and lead this team to select a third party logistics provider, and the 9-step process below can be adapted to most business environments. Map out the requirements of your RFQ. Narrowly define your specification, metrics & template requirements. Issue the RFQ to a long list of acceptable 3PLs. Pre-qualify the 3PLs you will invite, and demand confidentiality agreements of all who will participate. Keep careful record of all queries and responses, and make sure all stakeholders are updated regularly. Receive proposals from the chosen 3PLs. Once all proposals have been received, map them to your requirements. Collect team feedback, and record any comments or questions. Schedule a time for all to 3PLs still in the running to present their solutions and their company as a whole. Discuss the '3 Ps’: process, people and pricing. Visit each 3PLs’ logistics facilities and observe their operations, processes and people. Consider your estimation of their actual capabilities, capacity and competencies. Closely scrutinise their capabilities, pricing models and assumptions. Be picky about it. Consult with any client references the 3PLs provide. Seek out independent confirmation from ex-clients and market reputation. Arrange for the 3PLs to make presentations to your senior management. Assure a good fit socially and organisationally, not just financially and operatively. Compare and contrast the top choices in terms of company, solution and economics. Once again, map the shortlisted vendors against your evaluation criteria. Make sure your project team members rate and score the participants independently. Do not just total the scores, but look at how each member ranks them individually. Tally votes for first, second, third choice, etc. This will counter any bias form one member consistently scoring too high or low. Now explore the differences on the ranks by discussing why those choices were made. I have listed seven broad categories of evaluation criteria for the 3PL selection process. Within each category, your particular business needs will have to define the exact criteria, of course. 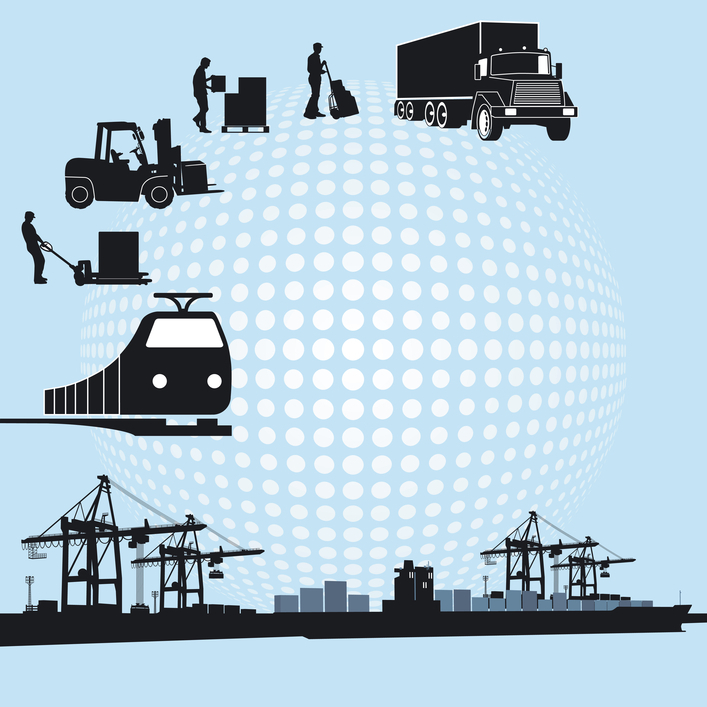 Size and scale: Consider the 3PL’s operations, finances and people. How do they stand in the industry? What is their reputation for competitiveness and financial viability? Are they the right size for your current and future needs? How involved was their senior management in the actual bid process? Will your business be sufficiently important to them to ensure good service? Lastly, how do they fit your company organisationally? Their logistics solution: Are their operational capabilities sufficient? Does the solution they propose fit your needs? Are their warehouse, equipment and space suitable? Are they experienced in working with your sort of company? Do they supply solutions to clients similar to you, and are they effective? Is their logistics network geographically suitable? Economics: Do they offer a competitive price? Do economies of scale work in your favour? Is their pricing sufficiently flexible? Is there room to adapt to any emerging requirements that are expected? Technology: Is their IT system sufficiently robust? Can they integrate it with your own systems? Do they have experience integrating with similar systems? Future-proofing: Can the 3PL and their proposed solution grow as you do? Is it flexible and scalable? How quickly and easily can they increase throughput? Does the 3PL itself have the potential to expand their operations? Value added: Will this provider actually improve your company’s production? Will their approach provide mutually beneficial outcomes? Delivery of services: How confident are you of their ability to deliver what they promise? Can they enact the solution they propose in such a way as to deliver the operational and business benefits they promise consistently and reliably? What has been the experience of their other clients? Selecting a 3PL is, and should be a very time-consuming and intensive project. Consider using independent, external resources to reduce the burden on your in-house resources and add a bit of perspective. When selecting a service provider of any kind, look to the prior experience of their current and past clients to gauge their performance. How do they manage ‘the three Ps’ of service: physical results, processes and people? Ask their clients: 1) Would you recommend this 3PL? and 2) Would you use them again?